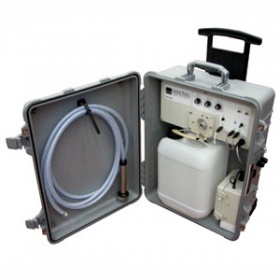 The WS705 composite/discrete water sampler's state of the art water sampler controller gives you complete control over your water sampling process. With the composite/discrete water sampler's sample size control, you can take individual time-weighted composite samples or full-bottle discrete grab samples in a 2.5 gallon sample bottle. The composite/discrete water sampler's sample interval control allows you set the time between individual composite samples or enable the external trigger mode for flow proportional sampling. 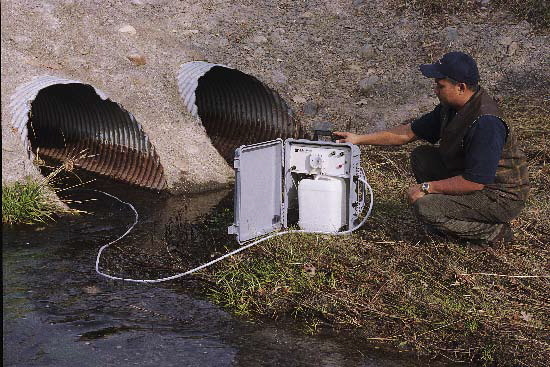 A start delay timer allows you to start multiple composite/discrete water samplers in the field at the same time, or to delay drawing a water sample after a triggering event so that your water sample better represents the water source.